Oster Volt Cordless Pet Clippers give professional groomers and pet owners heavy-duty power with a convenient battery-operated design. Great for dogs, cats, horses, and livestock, these cordless grooming clippers feature a removable lithium-ion battery that lasts for up to two hours per charge and can be easily swapped out for extended grooming sessions (additional batteries sold separately). Oster Volt clippers provide high torque at a lower blade speed of 2,400 SPM, allowing the blade to stay cool during longer grooming sessions while efficiently removing coarse and matted fur. 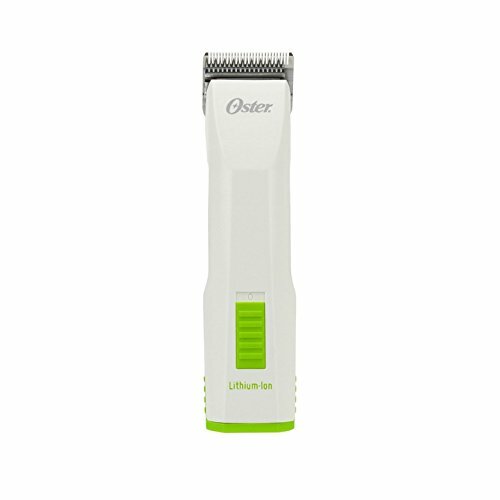 These electric clippers are compatible with all Oster A5 detachable blades, including wide blades, so you can choose the perfect fit for every length and type of coat.